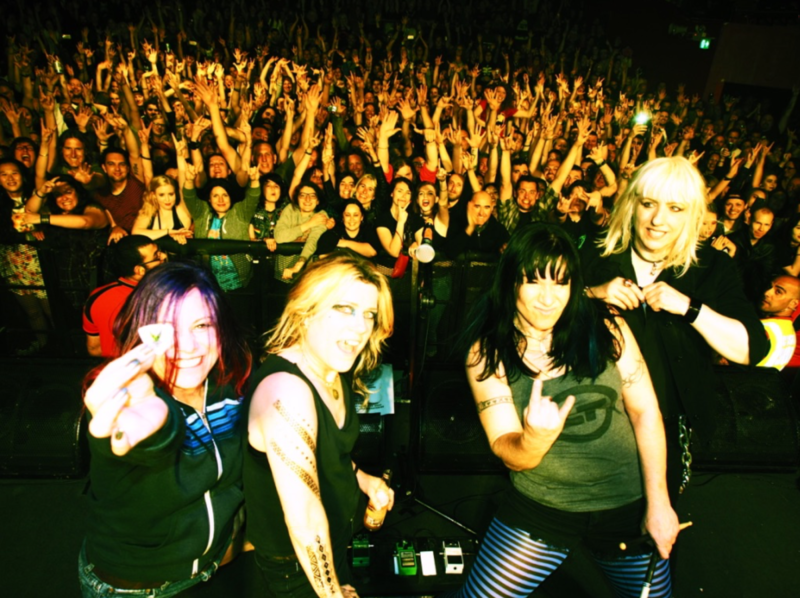 The following is my best recollection of L7 shows and live appearances of L7 (band members) and crew for the year 2016. Should you have and additional information please contact me so I may update this list. (info***jenniferfinch.com). CREW: Joey Picuri (Tour Manager / FOH), Double O Joe (Merch, Production Manager), Brian SG (guitar, bass, stage), Tony Cupito (Drum Tech). Crew: Levi Tecofsky (Tour Manager and FOH), Double O Joe (Merch, Production Manager), David “Cockney Pete” Crubly (Guitar and Equipment Tech), Joe Gardiner-Lowe (Drum Tech). Crew: Darren Hawthorn (Tour Manager), Mark Mole Soley (Guitar Tech and Equipment), Gareth (FOH), Double O Joe (Production Manager) We used local drum techs in each city. Crew: Sound Engineer (unknown), Nate Million (Guitar and Equipment) Double O Joe (Stage Hand), Tony Cupito (Drum Tech).